Manchester is located in the north west of England and is less than an hour away by plane. If you’re looking for a cheap weekend break that’s not too far away, Manchester is a great choice. Manchester is quite an inexpensive place to visit and there are free attractions throughout. There are museums and galleries that are free of charge to explore at your leisure. The People’s History Museum has fascinating exhibitions on how society in Manchester has evolved over the years. It even includes an old-fashioned interactive co-operative shop and a record shop with a working jukebox. The city itself is very pleasant to walk around, with beautifully constructed buildings all around. The John Rylands Library and the Manchester Cathedral are two particular architectural beauties. Of course, you can’t go to Manchester without taking in a football match. As I was born into a family of Manchester United supporters, there was no question about which team I would see play. My boyfriend, who I went away with, is also a big MUFC fan. 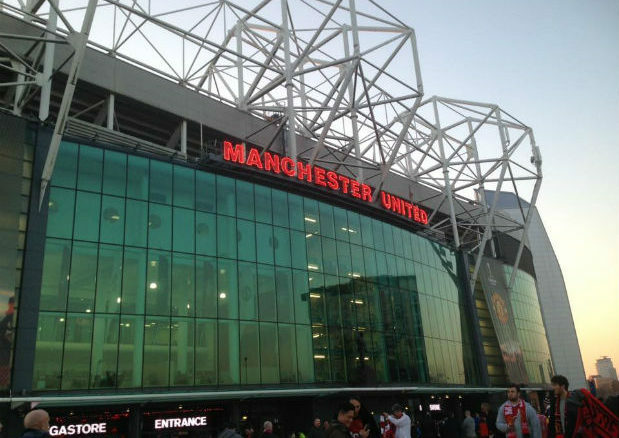 We went to see Man United play Liverpool in the second leg of the Europa League last 16. Sadly, the result did not go in our favour, but the experience was unforgettable nonetheless. The atmosphere in Old Trafford stadium could only be described as electric. The diehard fans in the Stretford End chanted for the full 90 minutes of the match, even if their spirits had been deflated after Liverpool scored. My highlight of the trip was the tour of Old Trafford. From the dressing rooms to the tunnel, you get to experience the whole stadium while being taken through the history of the club. Manchester is also home to the second largest shopping centre in Europe, so if it’s a shopping getaway you’re after, head to the Trafford Centre. There are 280 shops and services in the beautiful shopping centre but it is the food court that makes it so spectacular. It is designed as a huge steam ship that seats 1600 people, and has so many eateries that it is almost impossible to choose just one. There are plenty of hotels in and around the city and you can definitely find a bargain if you do some research. The city is also easy to navigate once you get used to the tram and bus systems.